Investors - don't miss out on this beautiful large grey stone located in East Garfield Park, just down the street from the conservatory! This exceptionally well-maintained 2-unit building is turn-key-both units are occupied with exceptional tenants. 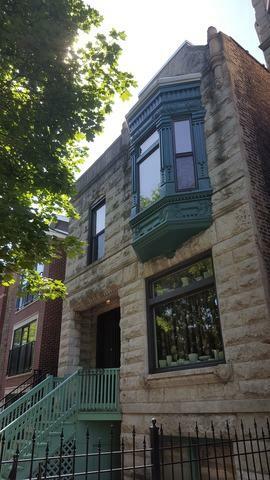 Each unit includes 2 bedrooms, 1 full bath, updated kitchens, hardwood floors, original woodwork and extra-tall ceilings. The building's dry basement offers tons of storage and could be converted into another flat. Basement also includes a common area with a washer & dryer. Additionally, this building benefits from a gated garden and gated parking.